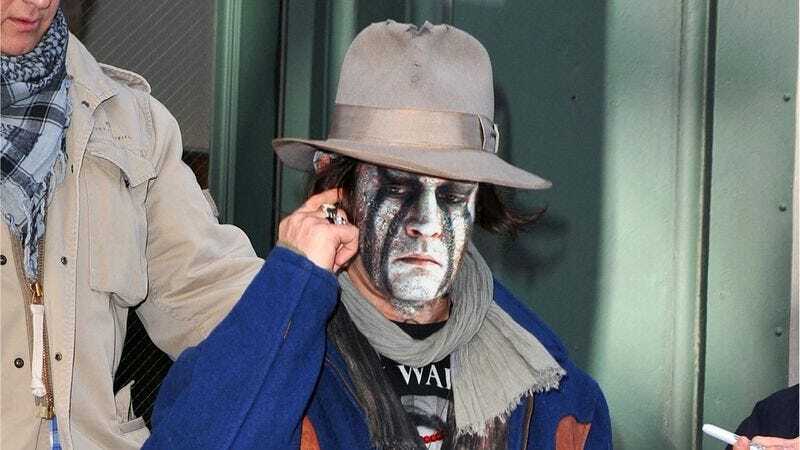 NASHVILLE, TN—Following the release of Disney’s The Lone Ranger, actor Johnny Depp told reporters that the makeup he wore for his co-starring role in the film as Tonto still will not come off. “I’m telling you, I’ve washed my face 40 or 50 times and I keep scraping at it with my fingers, but it does nothing,” a panicking Depp explained, adding that he’s afraid the paint may have somehow seeped into his skin. “Christ, what if it never comes off? What if this is what I look like now? Please help me, I’m begging you.” Depp added that though Tonto’s stuffed-crow headdress also seemed to be inextricably fused to his head, he was happy to continue wearing it for a while.